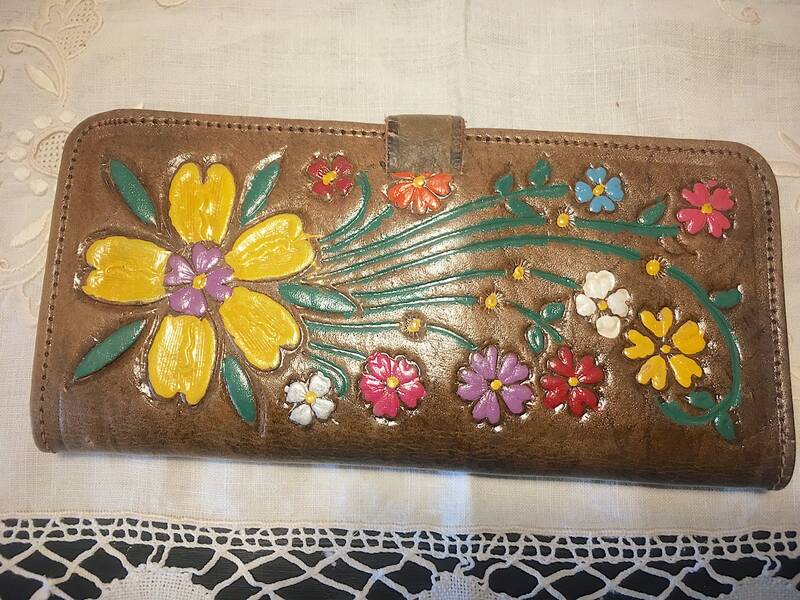 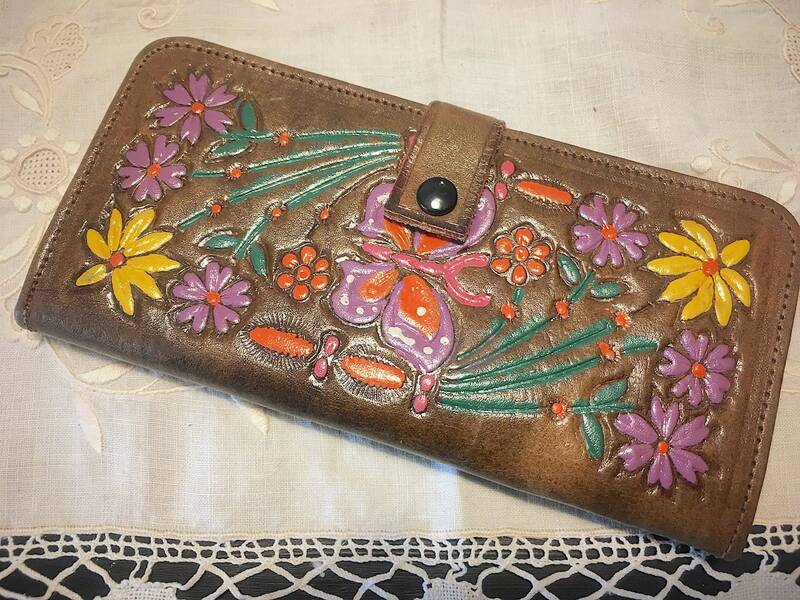 1960-70's brown embossed / hand-tooled leather wallet. 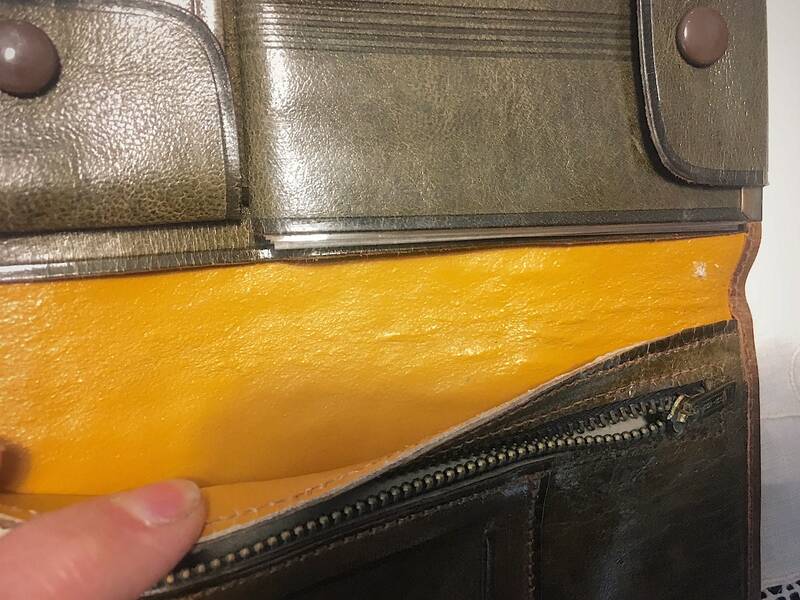 Dark brown and yellowish brown lining inside. 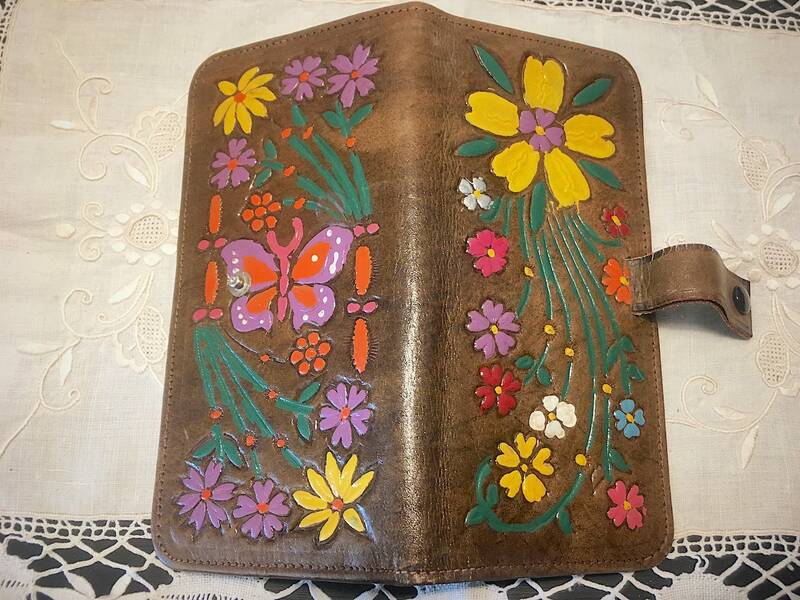 The embossed patterns have been hand painted in purple, orange, yellow and green. 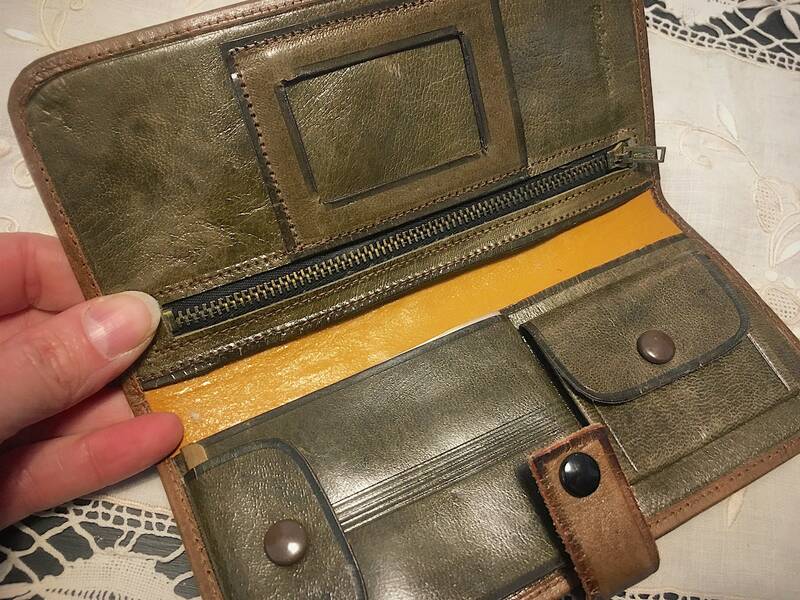 Long shape, folded in two with a sturdy snap button closure. 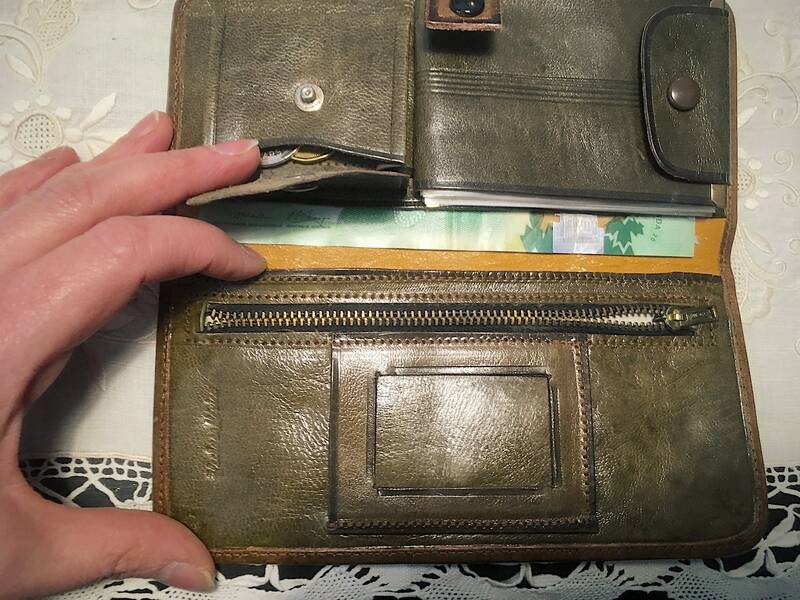 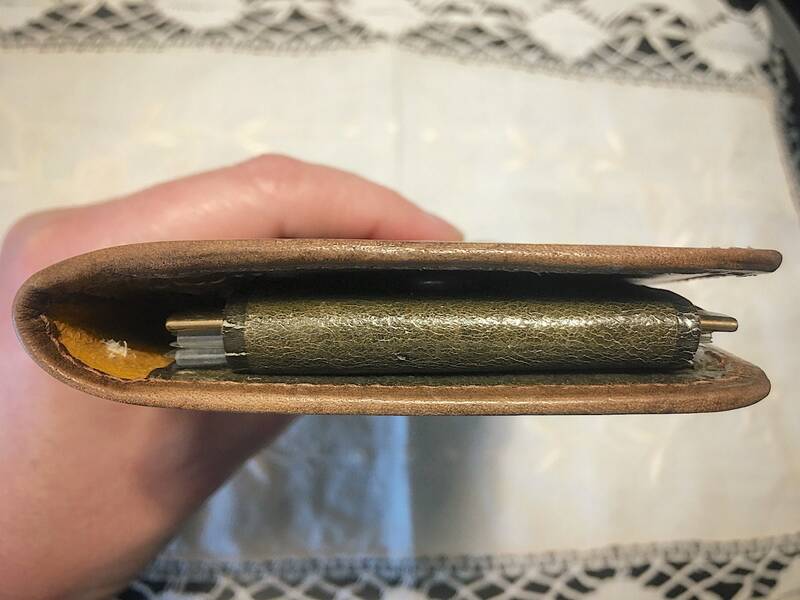 Inside including 1 zipped pocket for money, a space for a picture, two large pockets in the lining for banknotes / bills. 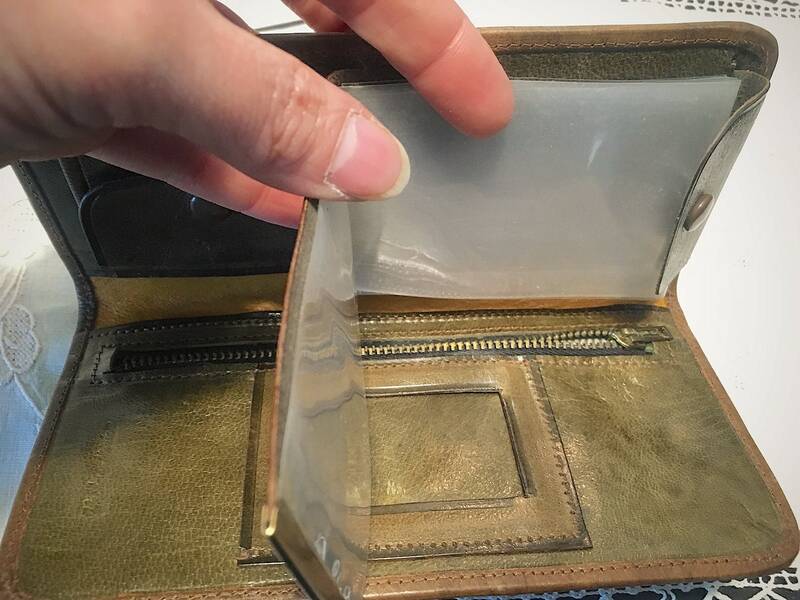 a snap closure gusseted mini-pocket for money, and a snap closure plastified cardholder for 5 cards. 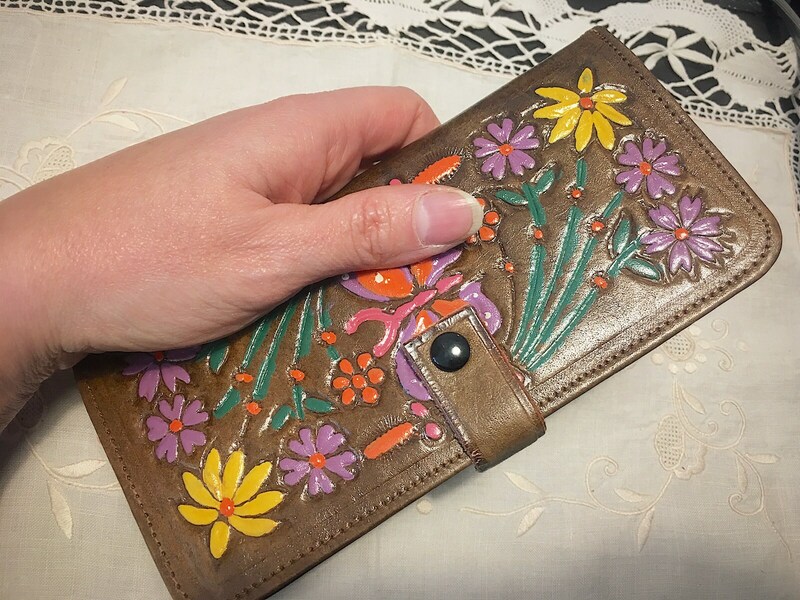 A nice gift for miss or mrs!